Kya and Autumn were so excited it was New Years Eve. They remembered how fun the holiday was last year. 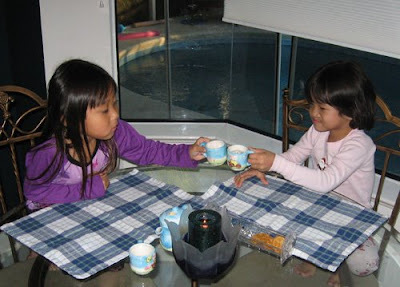 They first chose to celebrate with a tea party. 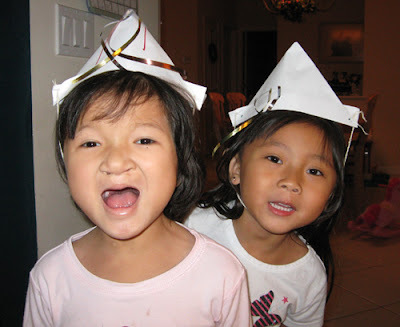 They were both very upset we could not find party hats this year, so we made them. 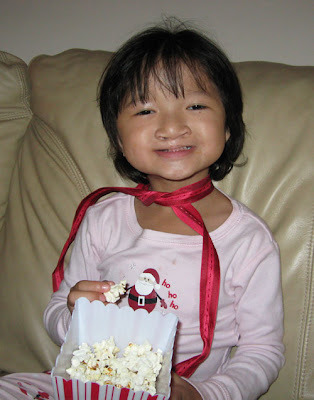 Then Autumn snuggled up with popcorn. 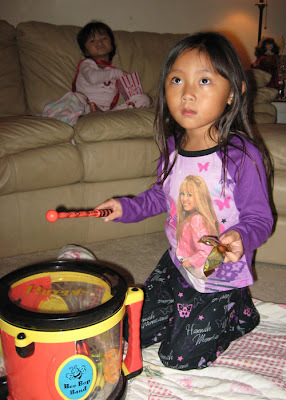 Kya partied with her instruments and Hannah Montana. Autumn did join in and the girls danced and sang and beat on instruments for over an hour. This was the babies 1st New Years home but they were a bit young to really celebrate. So, somehow, they slept soundly through the noise. I'm not quite sure how though! Kya finished up her school work for 2008. 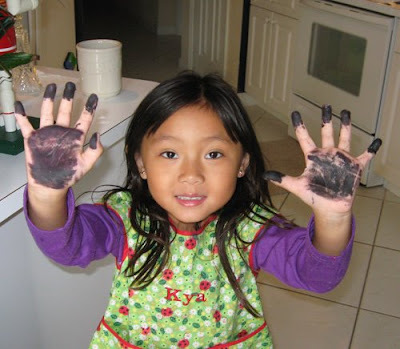 It was "P" week and she was painting a penguin (on her hand?). 2008 held such wonderful memories for our family. Our babies came home from Guatemala, they both celebrated their 1st birthdays. Kya and Autumn both celebrated their 5th birthday. 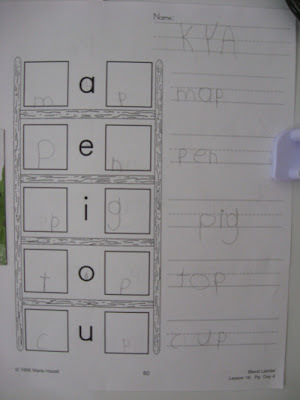 Autumn had surgery. We had two family vacations. So many memories for just 1 year. I look forward to another year with all 4 of my children home in my arms!